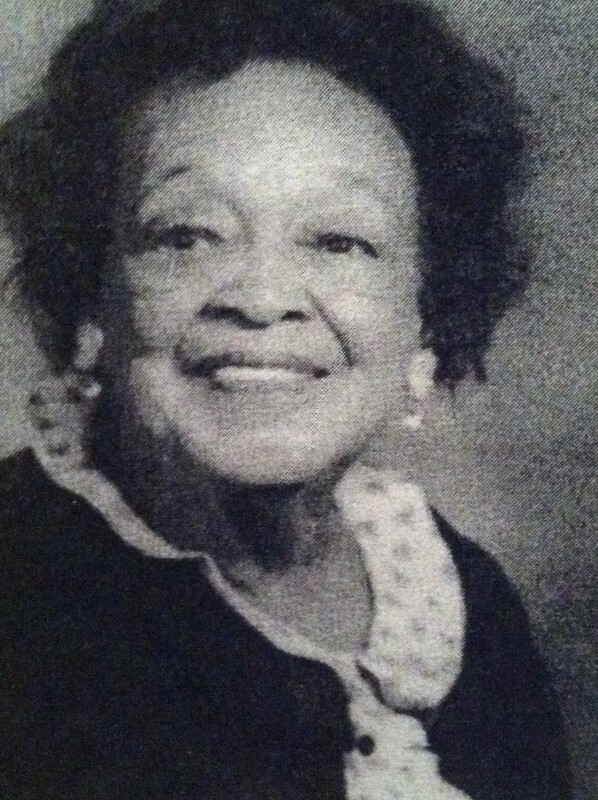 Sue Cowan Williams represents African-American teachers in the Little Rock School District as the plaintiff in a class action lawsuit challenging the disparity between black and white teachers’ salaries in the segregated South. 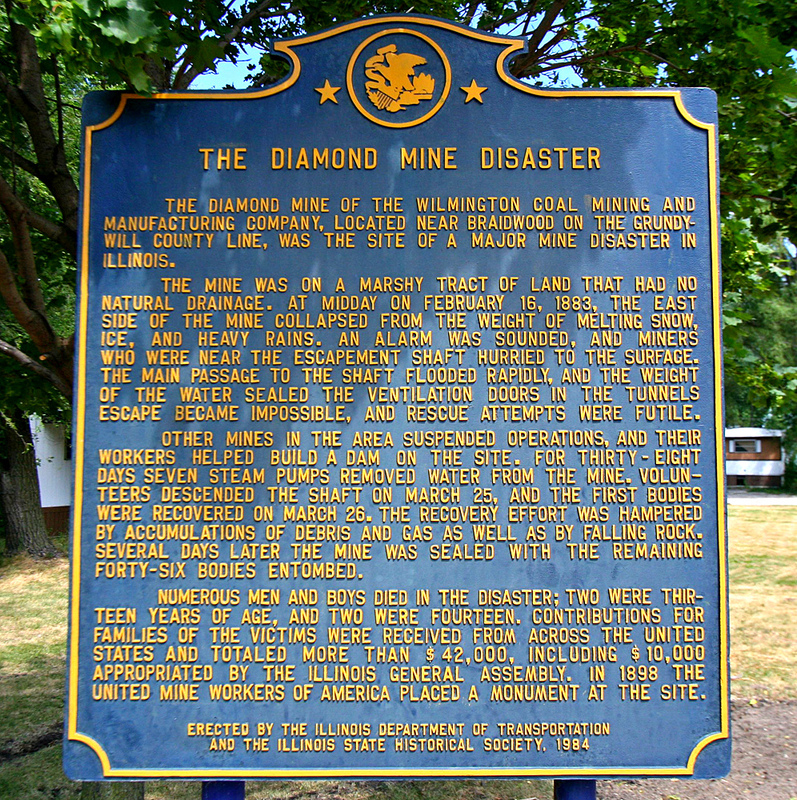 The case was lost, but won in a 1943 appeal. Textile mill owners in Ahmedabad, India, lock out their workers over a cost-of-living wage dispute. 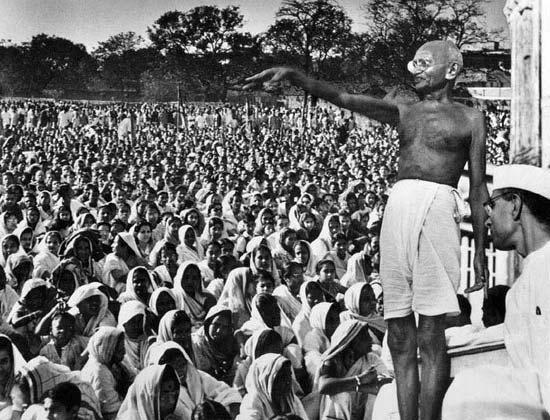 Indian independence leader Mohandas K. Gandhi proposed a compromise between what the workers and employers were demanding and began his first “fast unto death,” which lasted for four days until the mill owners agreed to arbitration. 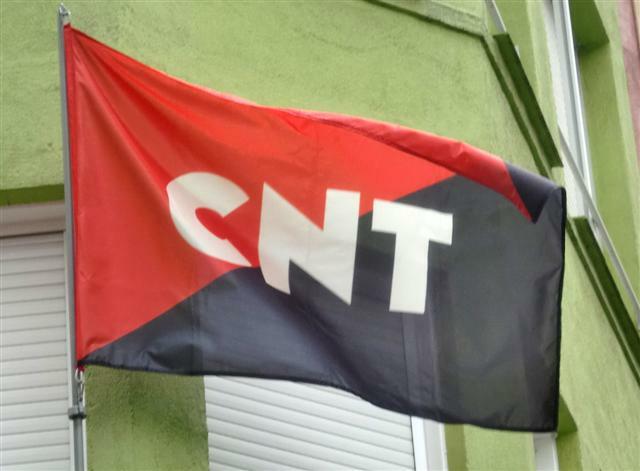 Several weeks after eight workers at a hydroelectric plant in Barcelona, Spain, are fired for political reasons, 100,000 workers are involved in the Confederación Nacional del Trabajo (CNT)-led general strike that follows. 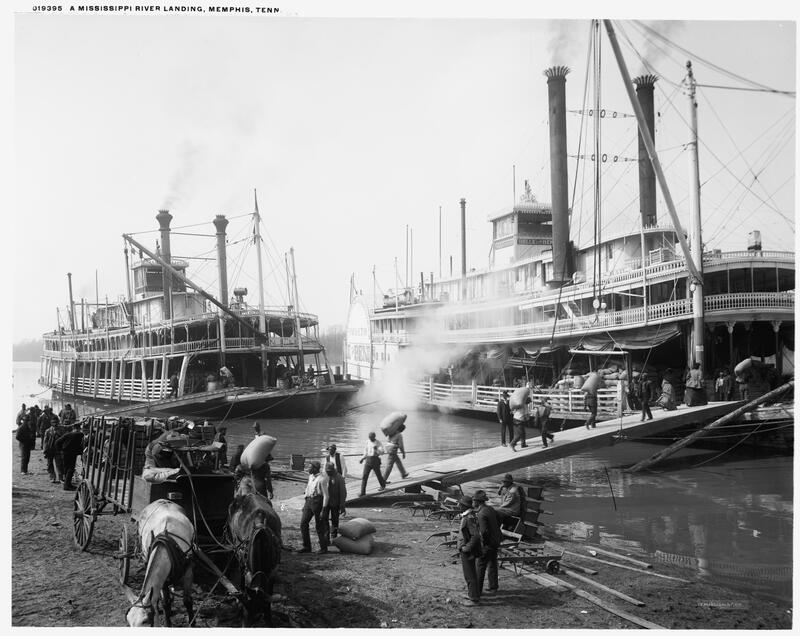 Efforts to break the strike were unsuccessful and the CNT’s demands were met, including the eight-hour day, union recognition, the reinstatement of all fired workers, and wage increases in some industries. On their way to City Hall to demand jobs and relief, more than 1,000 unemployed workers battle with police in Philadelphia. 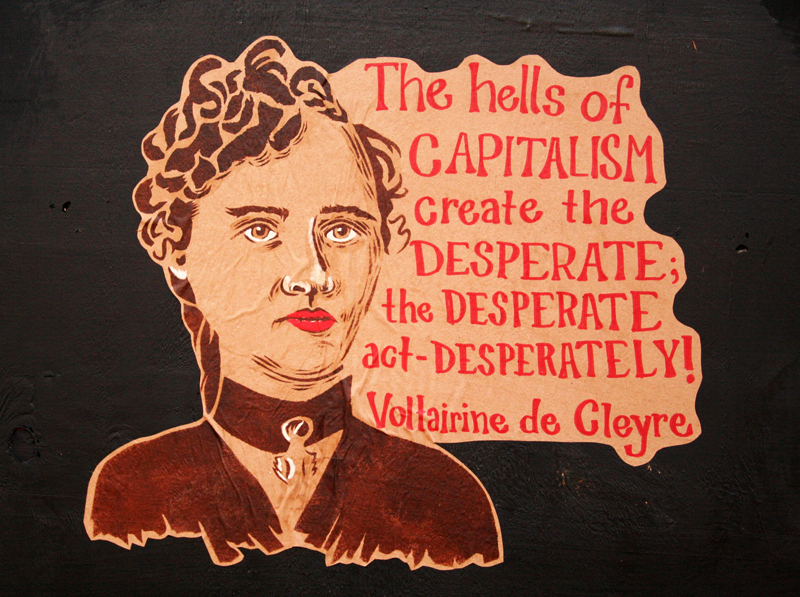 Police arrest fourteen people and Voltairine de Cleyre – an anarchist who spoke at a rally earlier in the day – is charged with inciting to riot. 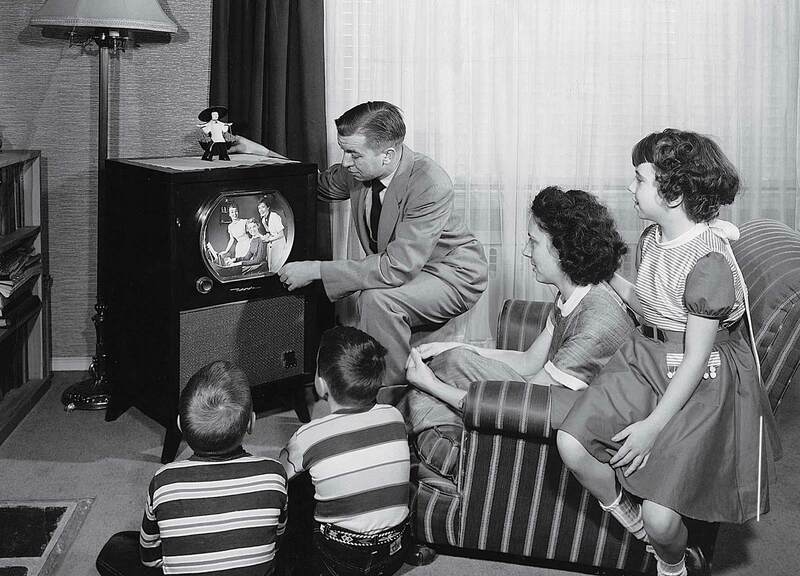 The Screen Actors Guild’s first-ever strike – which began on December 1, 1952, over filmed television commercials – ends when a contract is reached that covers all work in commercials. 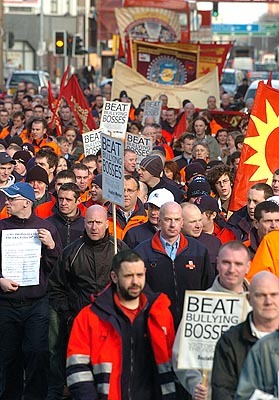 800 postal workers in Belfast, Northern Ireland, end an eighteen day wildcat strike over bullying, harassment, and intimidation by managers at Royal Mail when management agrees to an independent review of industrial relations. Baldemar Velasquez – union activist and co-founder and president of the Farm Labor Organizing Committee (FLOC) – is born. His experiences with miserable housing, bad working conditions, low wages, and wage theft as a child migrant farm worker propelled him to organize migrant farm workers in northwest Ohio in 1967. 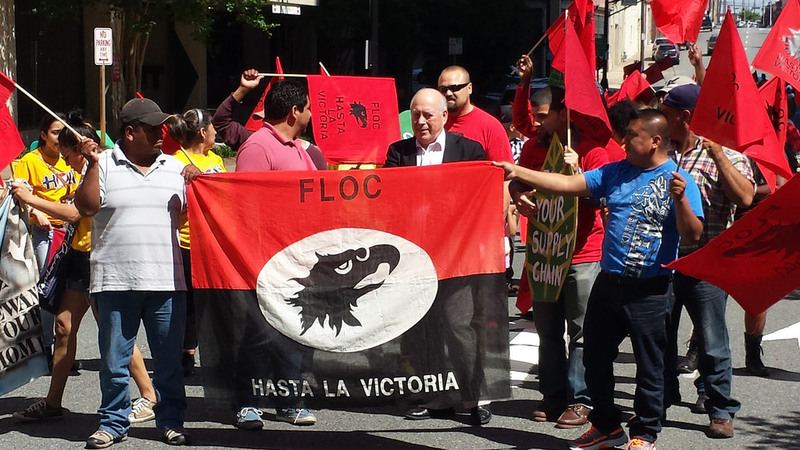 Velasquez continues as the president of FLOC and is active in the immigrant rights movement. 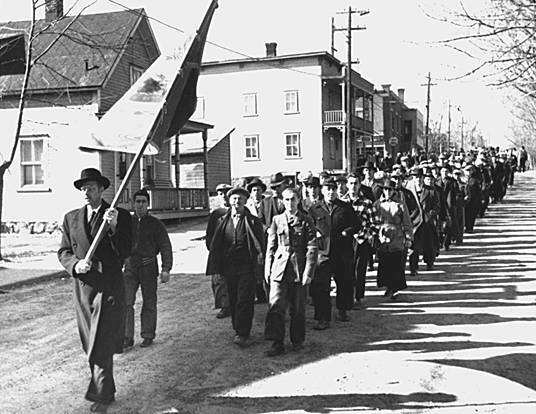 Asbestos miners in Asbestos, Quebec, go on strike for better wages and working conditions – in particular, health and safety measures to stop the lung-choking silicosis caused by exposure to asbestos in the mines, which were owned primarily by American companies. The four month-long strike pitted workers and their supporters in the community against the government, which was determined to break the strike.